First impressions are everything. According to bankrate.com, a good first impression can add as much as 10 percent to the value of the home. At Coverall, we offer a range of services including roof repair and new construction, as well as new shingles, gutters, and siding designed to make your home stand out from the crowd. In a recent survey, 31 percent of real estate professionals said the roof is one of the more important parts of the home to keep in good repair. 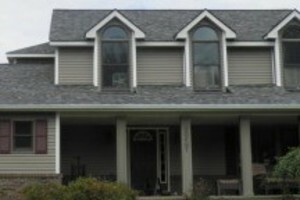 In general, a new roof can add anywhere from 15 to 40 percent to the value of your home. At Coverall, we cover it all, from quality roofing repair and installation to new construction and other related products. No matter what you need, we will work with you to make your home stand out. Damaged and missing shingles not only lead to moisture that can compromise the integrity of your roof, but they can also detract from the curb appeal of your home. At Coverall, we use Owens Corning TruDefinition Duration series shingles, designed to withstand winds up to 130 mph. We will also work with you to pick a style and color that matches the aesthetics of your home. You may not know this, but one of the best ways to improve the curb appeal of your home is to add gutters that match your home’s style and color. At Coverall, we offer multiple color options, to fit any house and make your home shine. When you pass by a home, what catches your eye first? Usually, it's the color of the home, as well as the size and style. If you’ve ever tried to give directions to someone, you’ll know what we mean. With new modern siding installed by Coverall, we will ensure your home has the proper insulation and ventilation, while adding value to your home and reducing energy consumption costs. If you have any questions about how you can increase your home’s curb appeal and property value, please contact Coverall Roofing today! 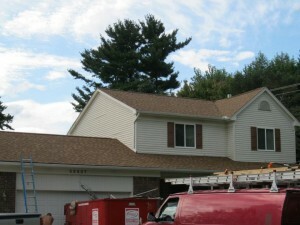 Coverall Roofing is a family-owned roofing company located in New Haven, MI. Established in 2000, we began working mainly in Macomb County, but now service the entire Detroit Metro area. Our employees are active in the community, supporting youth sports and community groups, as well as other local businesses. We believe that strong communities are built when businesses and consumers work together.